The network of historic roads connecting the towns and villages of rural Loudoun is a prominent feature of our landscape. Unfortunately, the quality of the old roads has deteriorated significantly in recent years. Now, a group of friends and neighbors is working to ensure that our roads get the care and attention they need while preserving their scenic charm. Loudoun County, one of the nation’s fastest growing and wealthiest suburban areas, also features spectacular rural landscapes, a rich and accessible history and a thriving rural economy. One of the least heralded assets underpinning our wonderful rural character is Loudoun’s 300 miles of unpaved rustic roads and bridges—the most of any county in Virginia. Many of these old roads follow routes laid out more than two centuries ago to connect Loudoun’s earliest farms and mills with market towns and ports. They follow winding courses lined by mature trees and stone walls, cross streams over historic bridges and afford views of old farmsteads, historic churches, open fields and woods. They are key parts of our pristine Civil War battlefields and connect our historic villages. These extraordinary roads support a wide variety of users—local motorists and Loudoun’s farmers, sightseers and visitors, but also equestrians, carriage drivers, bicyclists and hikers. However, limited maintenance funding over a number of years has forced crews from the Virginia Department of Transportation to focus on repairs and reaction to storms and other problems. As a result, some sections of these old roads have major erosion damage, suffer in heavy rainstorms, are plagued with potholes, have washboard surfaces and offer only narrow passage between deeply rutted ditches. Trips to view old Civil War battlefields, to go to a local winery, to enjoy the scenery or just to shop or go to work, school or church, have become increasingly difficult, slow and unpleasant. A publicity campaign focused on the roads has led to numerous articles and columns in local newspapers and in The Washington Post raising public awareness of this major part of our rural and historic landscape. The group has published an illustrated, multi-page policy report providing background information and policy recommendations for government officials. Discussions with local and state elected officials have led to state legislation supporting Loudoun’s unpaved roads and requiring annual reports from VDOT on its program for these roads. VDOT has hired new experienced staff and applied additional funds to improve the maintenance of the unpaved roads, has sent its staff to special training programs and is adopting new and better practices for the proper care of the rural roads. 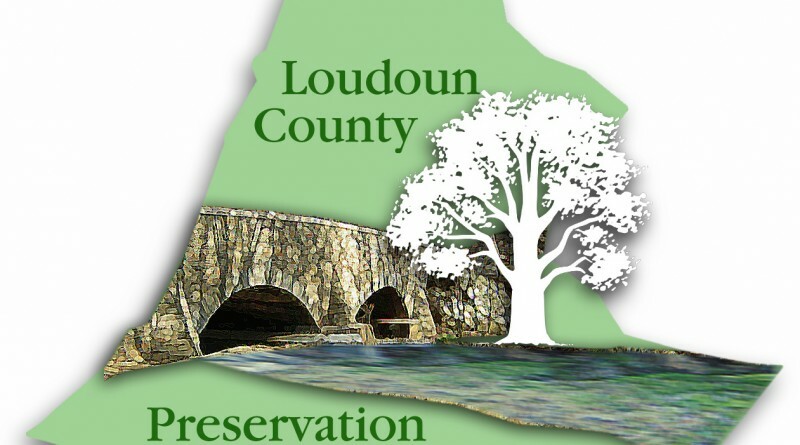 Loudoun’s rural supervisors and VDOT have launched a multi-year plan for addressing some of the most problematic segments of the rural roads while maintaining their rural and historic character. These improvements should stabilize these areas and free up maintenance resources to apply to the balance of the roads. Many people have commented that the roads in many parts of rural Loudoun seem to be in better shape than they have been in recent years—but much more has to be done. The Rural Roads Committee is continuing to work for improved care for our roads. It is in discussions with VDOT, our county Transportation Department staff and our rural supervisors to identify issues and develop programs for the better care and preservation of our rural road network. It also is talking with our state-level elected officials to encourage future legislation for the preservation of our roads, and for the proper funding needed for their maintenance. And, the committee is exploring additional steps to help build awareness and recognition of the historic road network, including conferences of public officials and preservation organizations, public education programs, creation of designated trail systems on the old roads and development of interactive maps to display historic information about particular roads and bridges. It is essential that our local and state officials and our local VDOT team are aware of our love for these old roads and our desire to see them well cared for. It helps if they hear about specific problems—and when things seem to be going well, too. To contact VDOT about a road problem or to give a thumbs up, call 1-800-FOR ROAD (1-800-367-7623).